Israel knew it had to clear out and so it did out its embassy building in Egypt before sunrise Wednesday, six months after its offices were attacked and ransacked by protesters, according to Egyptian airport officials. The officials said that two Israeli military planes left Cairo, loaded with documents and equipment removed from the embassy. A diplomat said that the move was "not significant." 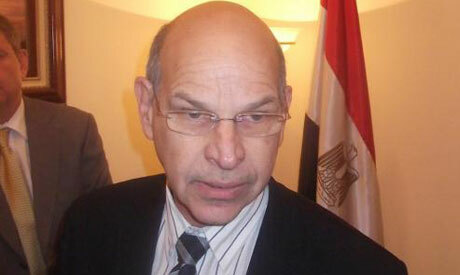 The Israeli ambassador and embassy staff were working in Cairo as usual on Wednesday. All officials spoke on condition of anonymity because they are not authorized to release the information. Israel has not used the embassy since the attack in September, when protesters ransacked one of the embassy's offices, dumping Hebrew-language documents out a window and trapping six Israeli staff inside for several hours. The protests were in response to the killing of six Egyptian police officers near the border by Israeli forces, who were chasing militants who killed eight Israelis in a cross-border attack.